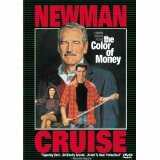 When I first started researching this article, I figured I’d find a dozen decent movies based on money. I was wrong. There are hundreds of films out there with money at the core, and why not? Money makes the world go around, after all. It plays a part in all of our lives, so it’s no surprise that so many filmmakers have chosen to focus on it. 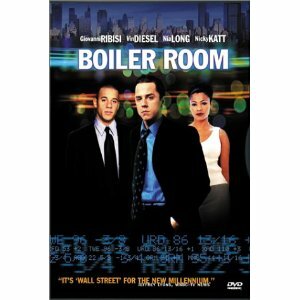 An investment drama that crosses Wall Street with Glengarry Glen Ross (both on this list) Boiler Room is a good effort from a young cast. The basic premise is simple — a savvy college dropout turns from running an illegal casino to a seemingly legal investment business that’s based on very aggressive cold-calling. But obviously the bubble has to burst at some point, and when that happens, the real drama begins. A classic from the 80s, Brewster's Millions features Pryor as a minor league baseball player who is given an offer he can’t refuse — spend $30 million in 30 days and have nothing to show for it, and he gets $300 million. He also can’t tell anyone about the deal, and that’s when the laughs come thick and fast. Everyone thinks he’s nuts as he spends money like a drunken sailor on the most frivolous things, but he soon discovers spending serious money is not as easy, or as fun, as he thinks. Moore is a polarizing figure. The left think he’s a crusader for the working man, the right thinks he warps the truth for his own agenda. But love him or hate him, he knows how to make documentary movies. 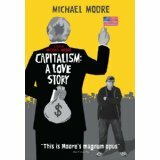 Capitalism: A Love Story deals with American democracy and capitalism, taking aim at Reagonomics, George W. Bush, and the free enterprise system that led to the collapse of the U.S. economy. But where did all the money go? And who’s to blame? 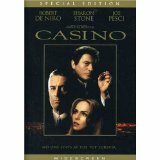 Although I prefer Goodfellas, which also deals with money, Casino is all about the evils of money. Set in the 70s, it centers around Ace Rothstein (DeNiro), a gambling genius with ties to the mob. They ask him to run the Tangiers casino, and he turns the place into a gold mine. But with success comes the usual trouble, with blonde bombshell hustler Ginger (Stone) and brutal mobster Nicky Santoro (Pesci) taking full advantage of Ace. Some movies have a profound affect on you, leaving you more angered and frustrated than you ever thought possible. 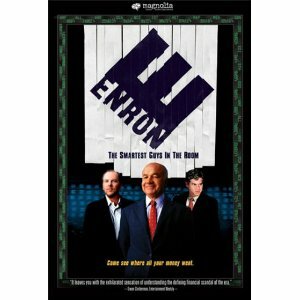 Enron: The Smartest Guys in the Room is one such movie. It documents the faulty and utterly corrupt business practices of the Enron corporation, who abused California’s deregulated electricity market to make billions of dollars. This resulted in suicides, 20,000 people losing their jobs, and one of the largest bankruptcies in modern history. 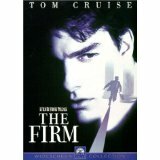 Cruise plays Mitch McDeere, a bright young lawyer who is scooped up by a small but lucrative law firm. He gets suspicious when he finds out how many lawyers have died at the firm, and soon discovers its ties with the mob. A key scene in The Firm for me comes when his wife wishes for the days when they didn't have money and were scrabbling for change to buy pizza. 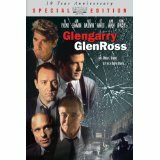 Worth watching just for the infamous Alec Baldwin monologue, Glengarry Glen Ross was penned by David Mamet and is filled with rich, intelligent dialog. The whole movie centers on a Chicago real-estate office going through tough times. Each salesman is under immense pressure to close sales or lose their jobs, and we see how far people will go in search of the mighty dollar. A stunning movie. And remember, coffee’s for closers. The national debt of the United States is growing at a rapid rate. As a nation, we’re hooked on credit, we save less than we ever have before, and the nation can no longer survive on what it collects through taxes. That’s the picture painted by I.O.U.S.A., and it’s bleak to say the least. As we follow the U.S. Comptroller General David Walker across the country, we see the damage that has been done, and the economic disaster on the horizon. Similar to I.O.U.S.A. 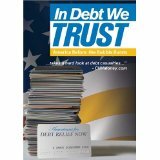 in many ways, but with a more personal slant, In Debt We Trust analyses the growing trend of “borrow now, pay later” that is sweeping the nation. We used to owe less than we had in our savings accounts, but that’s no longer the norm. Now, we put more and more on credit and pay the minimum. But what impact will this have on the younger generation, and the world? The warning this film delivers is scarier than any horror flick. Imagine you’re in real dire financial straits. You could lose everything unless you get money, and quick. Now imagine a millionaire offers you $1 million to spend just one night with your significant other. Would you take it? And what would happen if you did? A powerful examination of human nature and morality, Indecent Proposal is a film worth watching to see just how money can twist your sense of right and wrong, and the damage it can do. 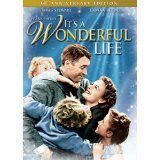 One of the most beloved movies, It's a Wonderful Life teaches us all a thing or two about the true meaning of life and the hold money can have on us. George Bailey (Stewart) has led the picture-perfect life in Bedford Falls. But when he loses $8,000 and puts the whole town in jeopardy, he contemplates suicide. That's when his guardian angel appears, to show him what life would be like if he'd never existed. A truly wonderful film. Starring: Tom Cruise, Renee Zellweger, Cuba Gooding, Jr.
My friends would tell me that if I turned up to work unusually happy, they knew I'd watched Jerry Maguire. It tells the story of Jerry Maguire, a sports agent who grows a conscience and writes a mission statement to his company — fewer clients, less money. He's fired, he loses his clients and his fiancée, and his career is in ruins. But that's when he discovers what matters most, and who matters most, in a tale that can melt the stoniest of hearts. 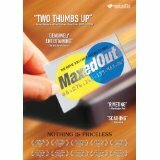 Another movie about the debt crisis consuming America, director James D. Scurlock uses satire from Louis C.K. and music from Coldplay to add some flavor to the tough subject of financial doom. Noting similarities between the credit industry and the drug trade, Maxed Out examines the predatory lending practices of some of the biggest financial institutions and ask that age old question — why? Filled with great knowledge, this is unmissable. Anyone thinking of buying a used home should stay well clear of this movie for a while. The Money Pit is the story of a happy couple who buy a "too good to be true" home for a bargain price. Everything looks great until they move in, and the entire house begins to fall to pieces. They soon go from happy to frantic as the house consumes every cent they own, and the home becomes metaphor for their troubled relationship. Great laughs throughout. I apologize to any purists out there who prefer the original to the remake, but I happen to like Soderbergh’s version of Ocean's Eleven a little better. In this crime caper, money is the root of all evil. Terry Benedict (Andy Garcia) owns a chain of casinos in Vegas, and takes pleasure in destroying the competition in order to build his empire. 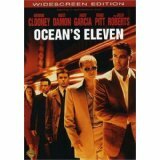 Danny Ocean gathers a crew to rob him of his fortune. But there’s a deeper story involving Danny’s ex. A wonderful piece of social satire from director Mike Judge, Office Space concerns the humdrum lives of workers at a software company. Their jobs are deeply dull, they’re facing layoffs, and they’re terrified of being unemployed. It all changes though when Peter Gibbons gets hypnotized and basically stops caring — which results in getting a huge promotion. With his friends in the firing line, they all hatch a plan. One of the five funniest movies ever made. What is the one percent? Well, it refers to the wealthiest Americans who control 38% of the nation's wealth. And in this documentary by Jamie Johnson, heir to the Johnson & Johnson fortune, we discover some of the brutal facts about trickle-down economics, the widening gap between rich and poor, and the future of America. Warren Buffett disowned granddaughter Nicole after she appeared in the documentary. Ouch. Available on Netflix. 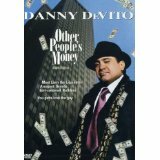 DeVito is “Larry The Liquidator,” a merciless investor who buys companies, rips them apart and sells off the assets to make millions. But when he comes up against a mom-and-pop company, he gets more than he bargained for — a sassy and attractive lawyer, and a relative of the owners, who can play the same dirty games as Larry. Other People's Money is a funny and touching story about the importance of people’s lives over that of the might dollar. Based on the true story of Christopher Gardner, The Pursuit of Happyness is a rags-to-riches story that really tugs at your heart strings. Gardner (Will Smith) has a job trying to sell over-priced medical equipment, and it's not going well. His wife leaves him, he has to care for his young son, and he's got no income. Then one day he sees a guy driving a sports car and asks how he did it. He decides to become at trainee stock broker, unpaid and in dire financial straits. Remember Nick Leeson, the trader who single-handedly brought down Barings Bank? 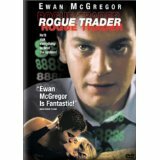 Well, Rogue Trader is the story of one of the biggest investment failures in recent history. Nick is a skilled trader who assigned to work in Jakarta, but in an attempt to save money, Barings allows him to operate floor trading and back office facilities. This results in him breaking all kinds of trading rules, generating losses that quickly become impossible to recover. Winner of eight Oscars, Slumdog Millionaire is an often heart-wrenching tale about a Mumbai teen who becomes a contestant on Who Wants To Be A Millionaire. When he starts getting answers correct that should be way beyond his general knowledge, he’s accused of cheating and interrogated. But through a series of flashbacks, we see that events from his life gave him this knowledge. One of the best movies of the last decade. 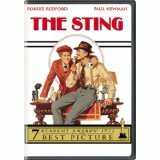 Set in 1936 Chicago, The Sting follows two con men who are looking to get revenge on a major crime boss in town. And they know his weakness — gambling on the horses. What follows is an elaborate sting operation to separate the man from his money without him ever knowing he was part of a "long con." Winner of seven Academy Awards, and with ragtime music by Scott Joplin, The Sting is a masterful movie that I watch every year. Are titans of industry born to do it, or are they made? Will people resort to crime if pushed too far? These are the questions that two super-rich older brothers ask each other, and to find out they concoct a nasty plan. They ruin the life of their successful commodities trader and bring a bum from the streets in to replace him. 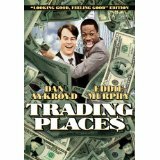 What follows in Trading Places are some of the funniest moments ever captured on film. A classic comedy, with great acting and a great story. "Greed is good" spits Gordon Gekko, a ruthless stock broker who worships money and the power it brings him. Bud Fox is a young broker desperate to work with him, and the lure of success puts Fox on a path that leads to insider trading, shady business deals, fast cars, and fast women. 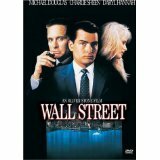 Set in New York in the late eighties, the height of "yuppie" culture, Wall Street is a fast-paced film that puts a magnifying glass on greed. Did I miss anything exceptional? Or just one of your favorites? 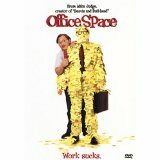 Chime in, let us know any other movies about money that are worth a watch. There are so many movies here that I haven't watched yet but have heard great things about! The Sting is definitely near the top of my "must watch soon" list. It's more of a rags-to-riches tale than being about money per se, but I'd add The Jerk to the list. Then again, it's my favorite movie, so I'd try to add it to pretty much any list of good films. Oh good call Meg. I love that movie, shameful I let that one slide. "I don't care about losing all the money. It's losing all the stuff." I didn't like Jennifer Aniston before I saw this flick, but I have to say Nicole Holofcener never makes a mistake with her casting choices. Don't watch Michael Moore's money...unless you want to become dumber. I like "Confesions of a Shopaholic" and "The Other Guys." Confessions does a great job of dealing (pretty realistically) with the ramifications of overspending and having too much debt. The Other Guys doesn't seem like it would be a movie about money, or anything other than a stupid Will Ferrell comedy, but it's actually quite good. I think War of the Roses could have been added to this list. I think its time for a remake of Brewsters Millions. Call me crazy, but Pretty Woman would round out this list nicely. Movies for kids --- Charlie and the Chocolate Factory and Richie Rich. 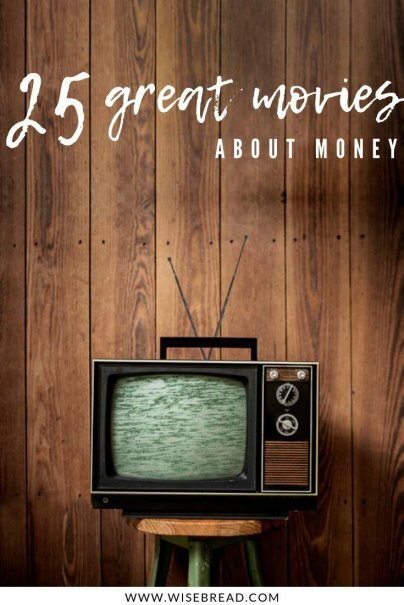 Lots of money conversations can be started after watching these! "After appearing in the documentary, Nicole Buffett (granddaughter of Warren) disowned her." I think you mean that Warren disowned Nicole. Thanks for the catch, Randomhookup. It's been clarified! "Wall Street", "Trading Places", and "The Pursuit of Happyness" are movies that I never get tired of watching. The Enron story is one that will become a classic. I think that "Click", starring Adam Sandler is another movie that could be added to the list. My all time favorite movie is a fictional tale based on a man who is laid off from his engineering job. Mom goes to work and leaves Dad at home with the kids to enjoy a little domesticity. Mr. Mom of course! Great flick -- my favorite scene is when they are playing poker for coupons! What about The Company Men? It is so relevant to the times right now. I highly recommend. my finance professor showed other people's money in class. Cinderella Man, set in the Great Depression. Honor, commitment, and perseverance in the midst of financial adversity. Oh, I love Trading Places. My favorite Christmas movie ever! I would also suggest Places In The Heart, the TV show Weeds and pretty much any Jane Austen movie but especially Emma Thompson's Sense and Sensibility, which focuses a little more on a woman's struggle with money. "Yes, but you will inherit your fortune. We cannot even earn ours." I didnt see the documentary "Inside Job" on the list. Thats a really good one! Great list. A "must add" would have to be Too Big Too Fail! 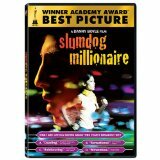 I love the movie "Slum Dog Millionaire". It's great to watch this and realize how good we have it. Mad Money with Diane Keaton, Queen Latifa, and Katies Holmes is definitely worth a watch, or 2, or 10.